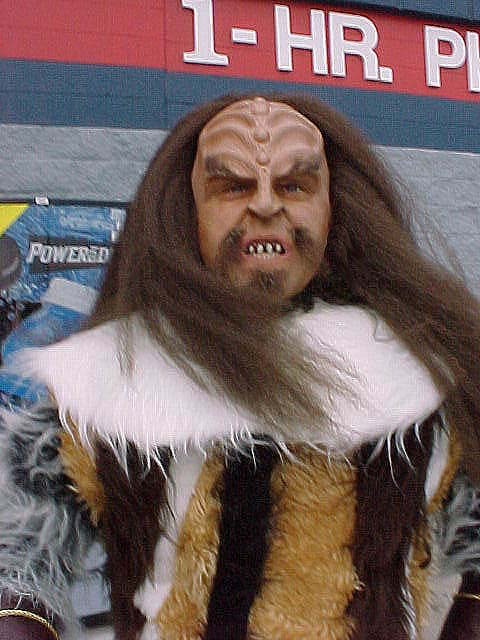 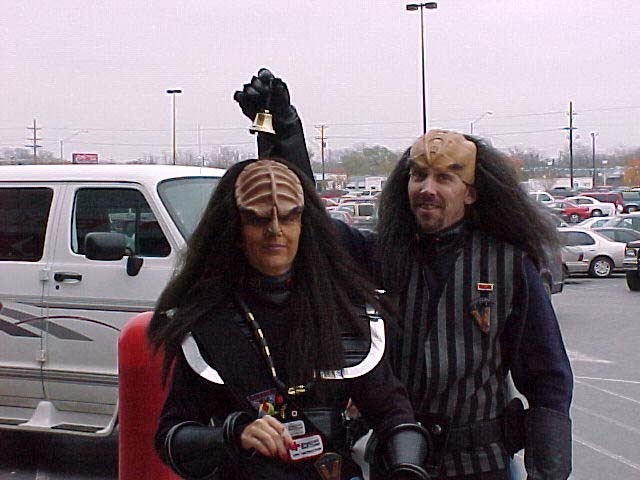 While stationed at Fort Sill, Oklahoma, I joined a Star Trek fan club of Klingons. 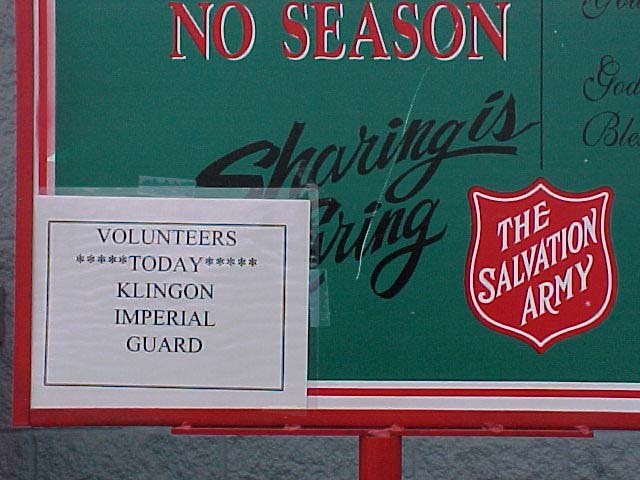 The Lawton, Oklahoma chapter was part of the Klingon Imperial Guard, which at the time had chapters nation-wide. 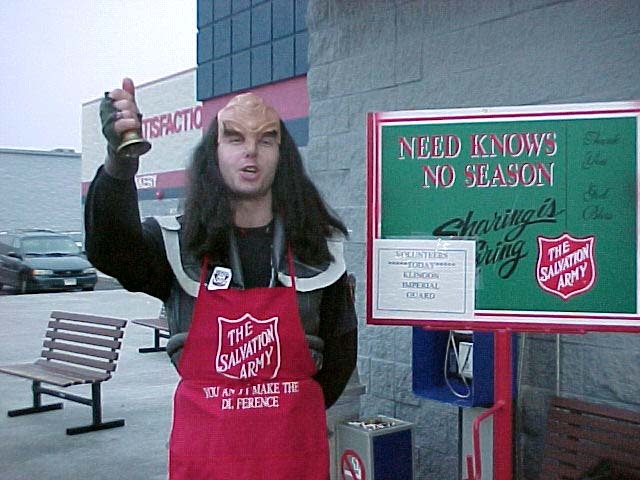 Our "ship", the Imperial Klingon Vessel, b'etleth, took part in many community activities. 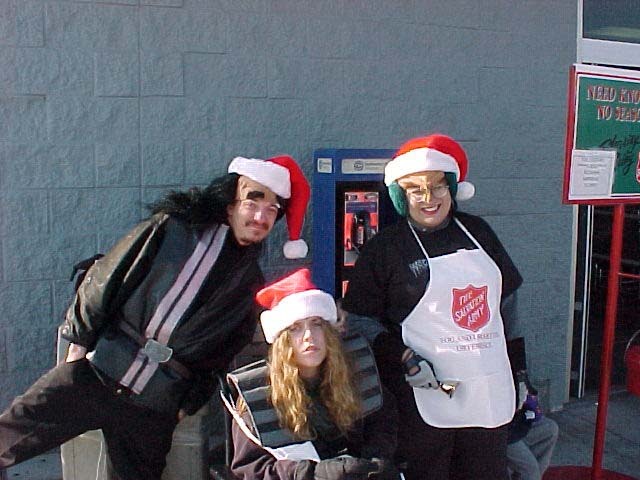 The fund raiser that I enjoyed the most, and raised the most money, was ringing bells for The Salvation Army during the Christmas holiday season. 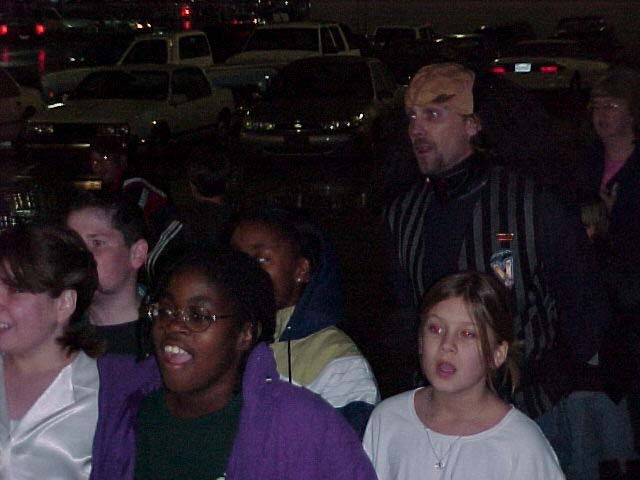 I participated in 1999 (without costume) and 2000. 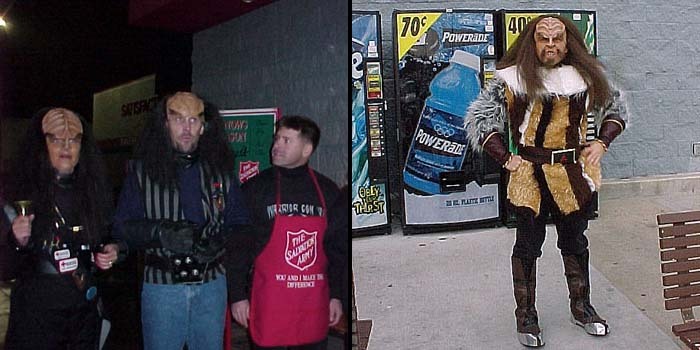 The photos here are from both events. 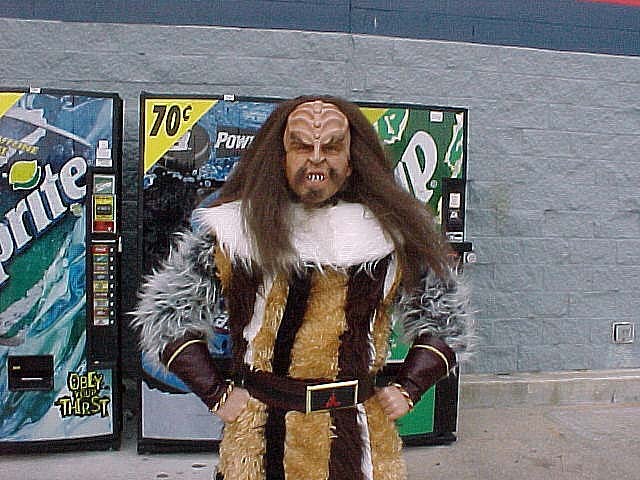 This is me as my alter ego, "K'Gor", in 2000. 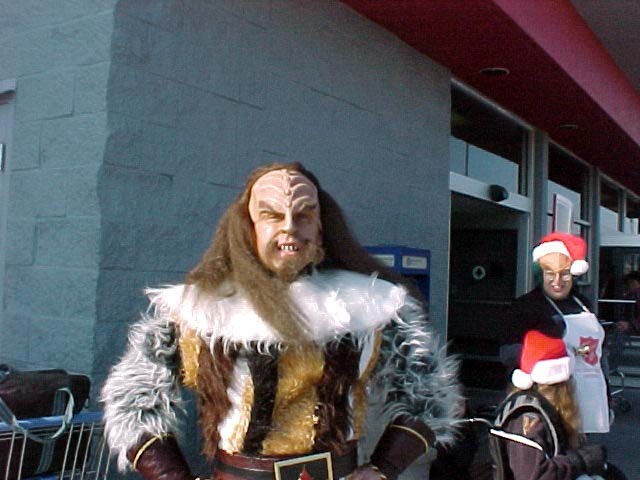 The location was Wal-Mart, and we received a wide range of reactions from the customers while we were there. 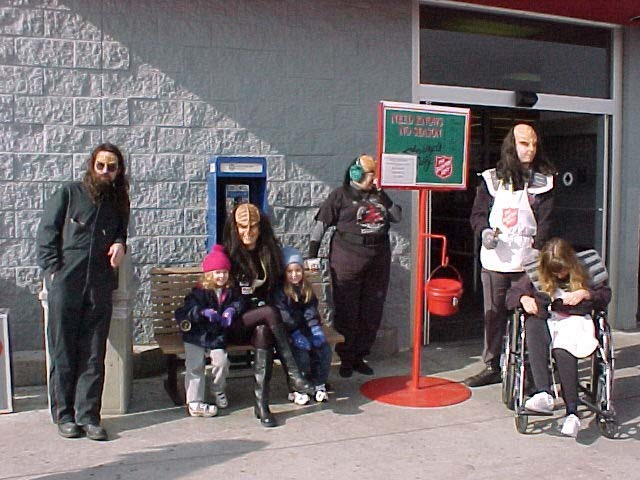 Even though some folks approached us who felt we were inappropriately dressed for the event, the red bucket continued to be filled up with cash. 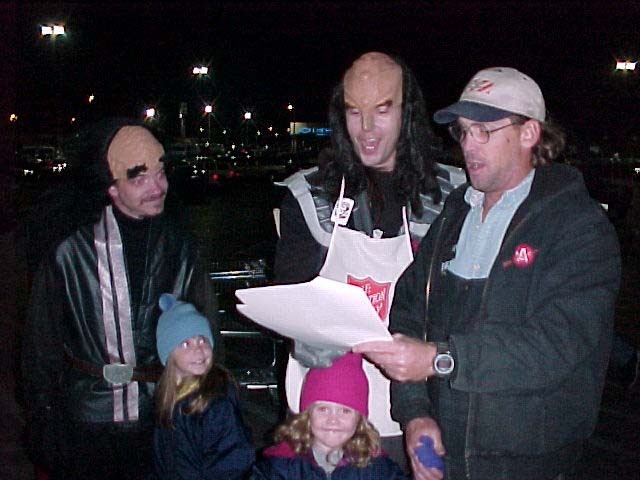 In fact, the local residents contributed so much money, that the bucket was stuffed full, and had to be changed out four times during the day, because the bills would no longer fit through the slot. 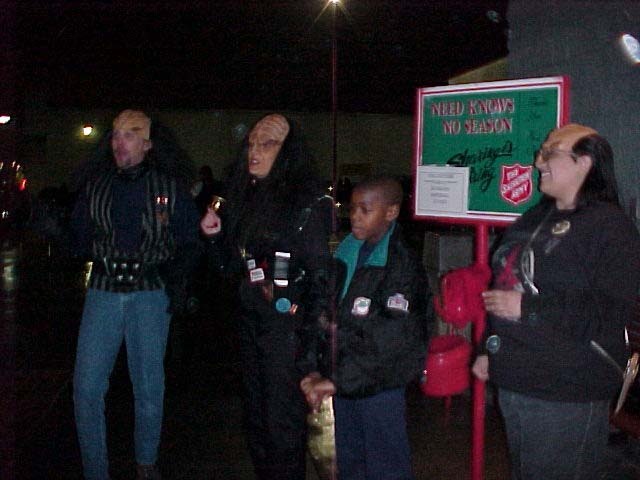 We enjoyed having the opportunity to dress up and have fun for a good cause. 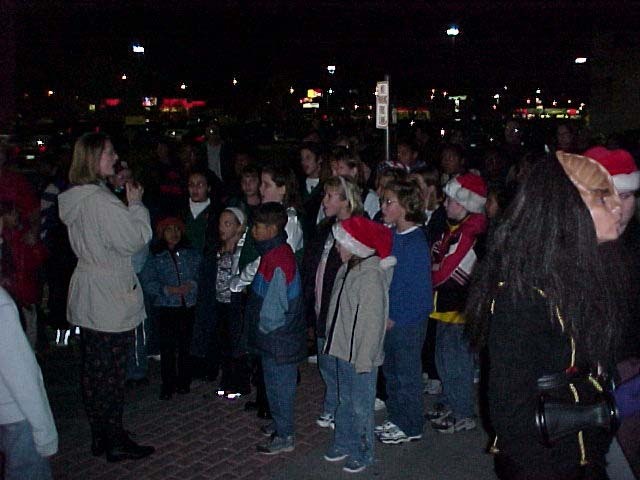 And, as the evening wound down, we were joined by a group of elementary school students who were making the rounds, spreading cheer and good tidings at all of the busy places in town.